Located a mile outside the village of Aberdour with stunning views across the Firth of Forth to Edinburgh. 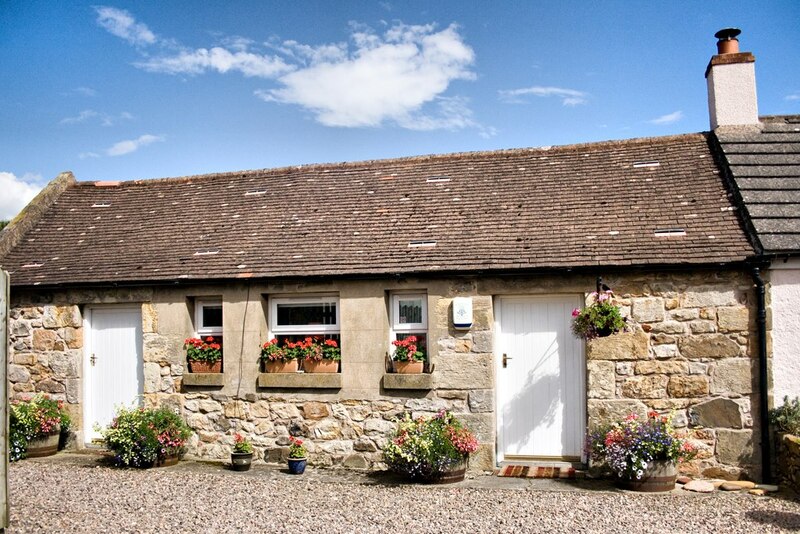 Semi-detached from the main house with its own entrance, the ground floor stone building was originally an old dairy. It is now a large open plan, bright and spacious studio room that was recently refurbished in 2012. 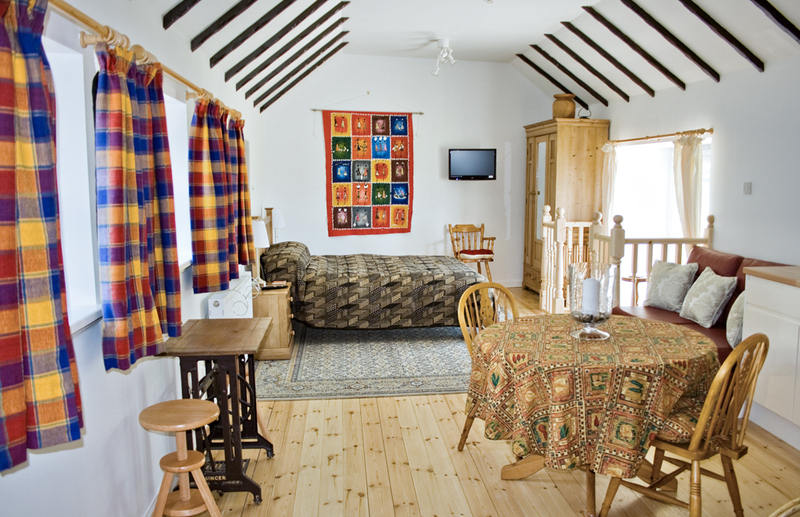 The accommodation offers a comfortable double bed with bedside tables on either side of the bed, each with a bedside lamp, a double wardrobe with full length mirror and a sofa bed that could sleep another person if requested. There is a flat screen TV/DVD player with Freeview. The fully equipped kitchenette ( in a large floor to ceiling cupboard) has a microwave, silent fridge, toaster, an electric kettle and complimentary tea, coffee and hot chocolate. We supply a continental style breakfast allowing our guests the freedom of having their breakfast at their leisure.